If your baby suffered a brain ischemia birth injury, you may have grounds for a medical malpractice lawsuit. Brain ischemia is a lack of blood flow to the brain. There are a multitude of possible causes for brain ischemia including low or high maternal blood pressure, placental abnormalities such as abruptio placenta, fetal hemorrhage, and congenital defects. When brain ischemia occurs during or immediately after childbirth, a baby can suffer lifelong health problems. These health problems can include damage to major organs, cerebral palsy, and other disabilities. If your baby suffered a brain ischemia birth injury, you may have grounds for a medical malpractice lawsuit against the treating physician, his or her medical staff, and the facility where you gave birth. 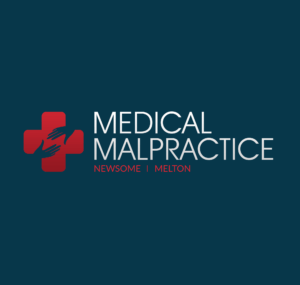 A brain ischemia birth injury lawyer at Newsome Melton can help you recover medical malpractice damages. We have a successful history of assisting clients whose children suffered birth injuries. We offer a free case evaluation and work on a no-win-no-fee basis—we get paid only when you do. To speak with a member of our team, call us at 855-633-2757. Your obstetrician, midwife, or other medical provider has a responsibility to screen you and your baby for risk factors that could lead to brain ischemia. If any risk factors for brain ischemia are present, your doctor and his or her staff should take precautions throughout your pregnancy and during childbirth. Some birth injuries occur in spite of precautions. In such a situation, your doctor should recognize what is happening and administer treatment in time to minimize long-term damage. This duty extends to his or her staff and to the medical facility that employs them. Birth ischemia has a number of symptoms that your doctor has a duty to recognize and respond to promptly. If your baby suffered a brain ischemia birth injury because your doctor did not recognize any risk factors that were present or did not diagnose the condition in time to minimize long-term damage, we can help you file a medical malpractice lawsuit. We will fight to recover damages. To receive a free case evaluation with a member of the Newsome Melton team, call us at 855-633-2757. If your baby suffered a brain ischemia birth injury, we can build a compelling medical malpractice case on your behalf. We have recovered malpractice damages for many parents whose newborns suffered birth injuries. Your doctor or his or her staff member had a duty of care to you. This person did not uphold his or her duty of care. As a result, your child suffered a brain ischemia birth injury. Because of your child’s injury, you incurred economic or non-economic damages. The first thing we must demonstrate is that the responsible party had a duty of care to you. We can do this by providing proof of an active doctor-patient relationship. All doctors have a duty of care to their patients. This duty extends to their medical staff, including physician’s assistants, nurses, lab techs, and more. Second, we must show that the responsible party did not uphold his or her duty of care. To demonstrate this, we must provide evidence that the person’s actions fell short of what one would expect of a reasonable person in the same scenario. In a medical malpractice case, the “reasonable person” is another healthcare provider with the same education and training. We can bring in medical experts to review the evidence and testify from the perspective of a reasonable person. Third, we must demonstrate that your baby suffered a brain ischemia birth injury and that it occurred because of the responsible party’s failure to uphold his or her duty of care. We can do so by presenting medical records, statements from other doctors, and lab test results. The final thing we must demonstrate is that you incurred economic or non-economic damages because of your baby’s brain ischemia birth injury. Call today for a free consultation: 855-633-2757. You do not have unlimited time to file a brain ischemia birth injury lawsuit. Every state has a statute of limitations that sets a deadline on your ability to take legal action. If you let it pass, you will lose your right to recover compensation. The Newsome Melton team can file a quick lawsuit on your behalf if necessary. Our brain ischemia birth injury lawyers will fight to preserve your right to recover damages. Call us today for a free case evaluation: 855-633-2757. The birth injury lawyers at Newsome Melton are eager to start fighting for you today. For a free case evaluation, call 855-633-2757.